How are online and offline political activities linked? 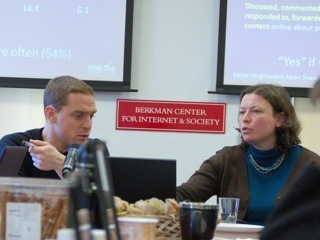 Berkman Fellows Eszter Hargittai and Aaron Shaw collected data soon after the 2008 presidential elections on a diverse group of young adults from Obama’s home city of Chicago. In this presentation Hargittai and Shaw look at the relationship of online and offline political engagement based on this data, and consider the relative importance of numerous factors in who was more or less likely to vote and engage in other types of political action.